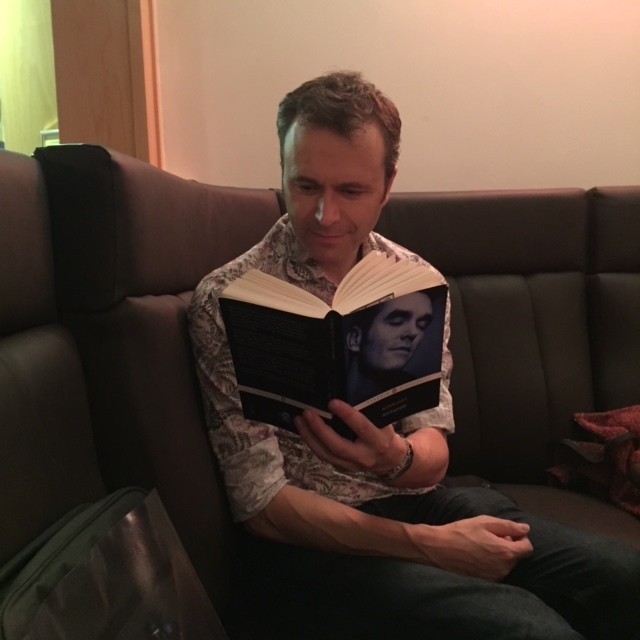 At this month’s Glossop Record Club Smiths night, I’m pleased to say that no one stood on their own, and plenty of people shared their love and mutual appreciation of The Smiths and Morrissey. A few people left on their own, but they weren’t harbouring any feelings of misery and despair – instead they were just happy that they’d spent an evening in the company of like-minded individuals, listening to classic albums by The Smiths and Morrissey on vinyl and hearing an eclectic playlist of music related to Manchester’s masters of melancholy. Glossop Record Club describes itself as the musical equivalent of a book group or a film society. 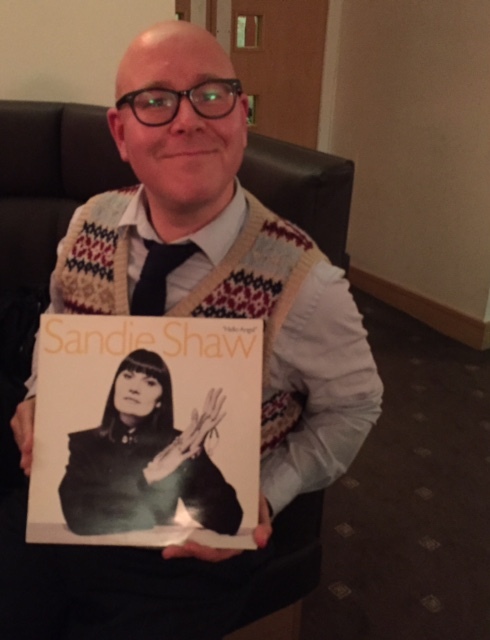 Once a month, music fans meet up at Glossop Labour Club in Derbyshire to listen to albums – on vinyl – in full. Mobile phones must be switched off and there’s no talking while the main albums are being played. But there’s also plenty of time to drink and have a chat about the music you’re listening to. 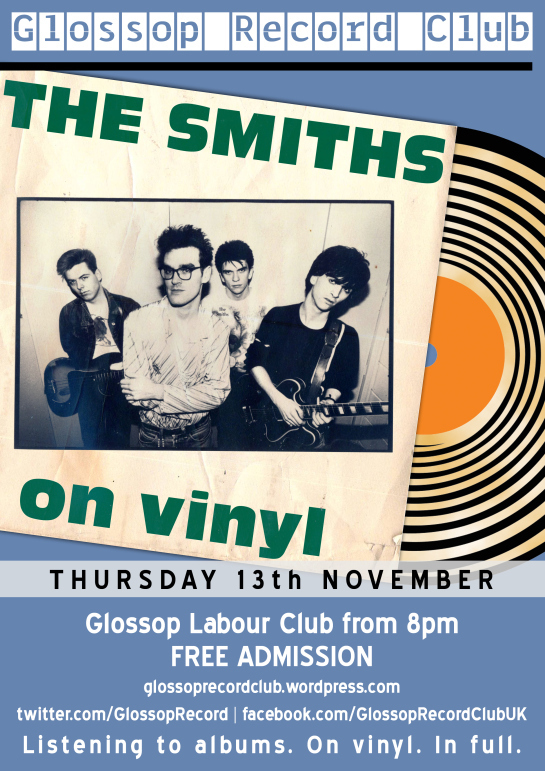 Organised by record collector Simon Galloway, Glossop Record Club has been running for over a year. 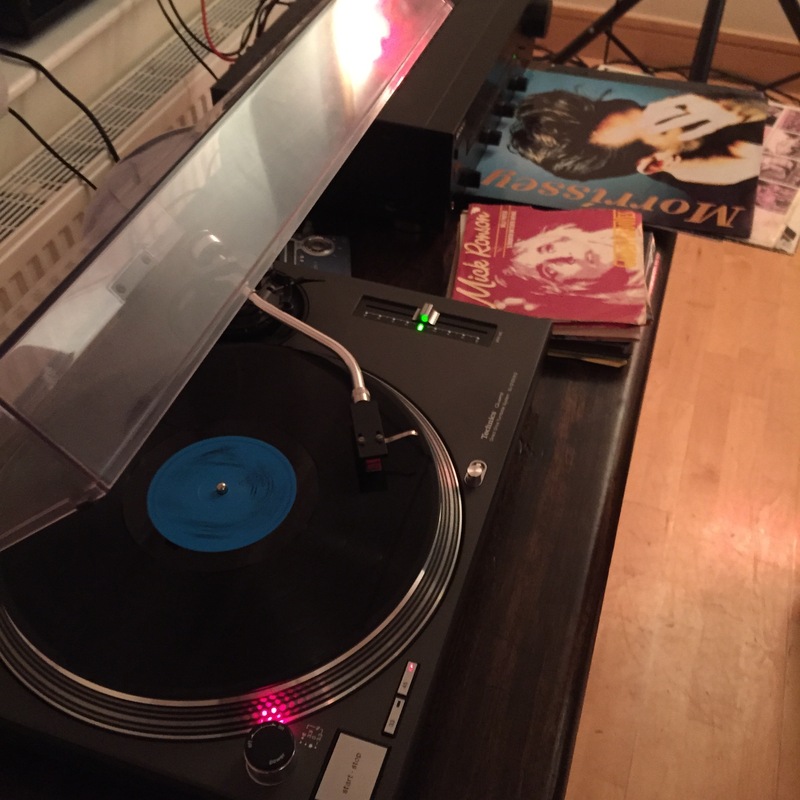 Past sessions have included nights devoted to Bowie, Merseybeat, Sun Records and John Peel. Guest speakers are invited to talk about their specialist subjects and attendees are encouraged to bring their own records to play on the night. 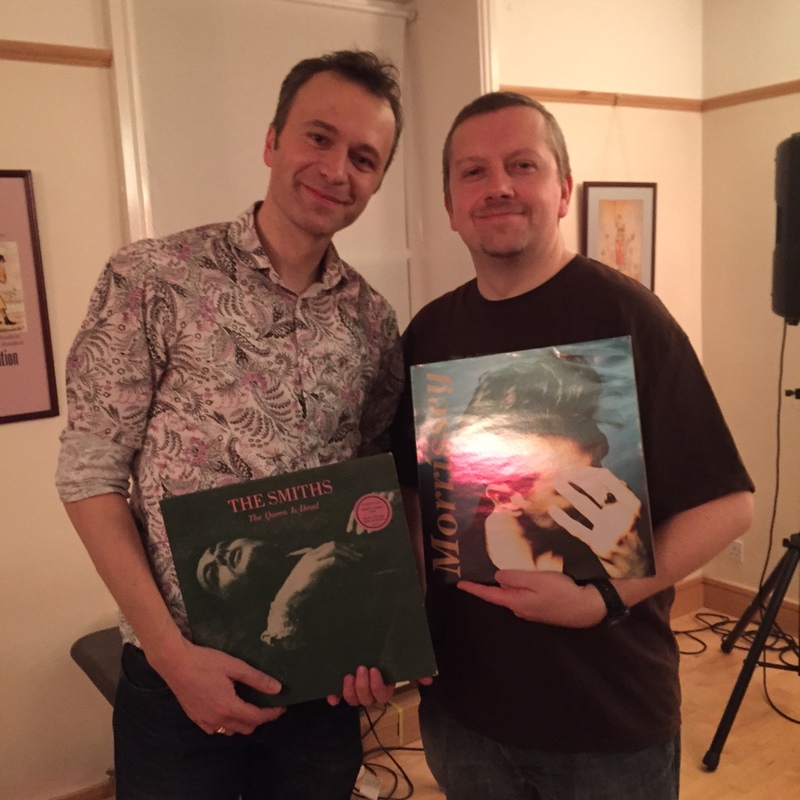 My first visit to Glossop Record Club was for The Smiths special, featuring guest presenter and Smiths/Morrissey enthusiast Gavin Hogg. I made the long train journey up from London – ‘home of the brash, outrageous and free’ specially, clutching my carefully selected vinyl – a 2013 7in picture disc of Morrissey’s The Last of The Famous International Playboys and Johnny Marr’s recent single Easy Money – also on 7in. Simon Galloway introduces the listening session and spins some Smiths and Morrissey-related sounds, including songs from his favourite Morrissey 12in Everyday Is Like Sunday (Sister I’m A Poet/Disappointed/Will Never Marry – 1988) and The The’s The Beat(en) Generation – from the 1989 album Mind Bomb and featuring Johnny Marr on guitar and harmonica. We are also treated to some Smiths rarities, including a reggae version of Girlfriend In A Coma. What was that Morrissey once said about reggae being vile? Those attending the night were asked to vote online in advance for The Smiths album that they wanted to hear played in its entirety. Gavin tells us that the winner of the poll is The Queen Is Dead – by 45 per cent – which is met with much enthusiasm by the – mostly male – crowd – myself included. 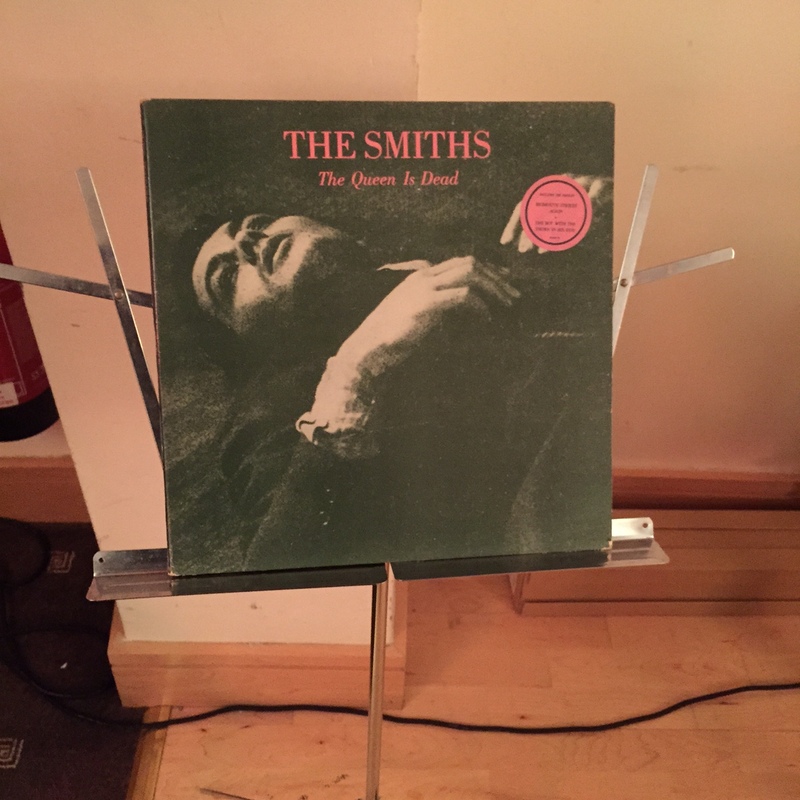 Released in 1986, The Queen Is Dead is my favourite album by The Smiths – in fact it’s one of my favourite albums of all time – and is arguably Morrissey and Marr’s masterpiece. An emotional rollercoaster of a record, it starts with the epic garage rock assault of the title track and takes the listener on a journey through music hall comedy (Frankly, Mr Shankly), funereal balladry (I Know It’s Over), sublime jangle-pop (Cemetry Gates) and doomed romanticism – There Is A Light That Never Goes Out, which is quite simply one of the greatest songs ever written. 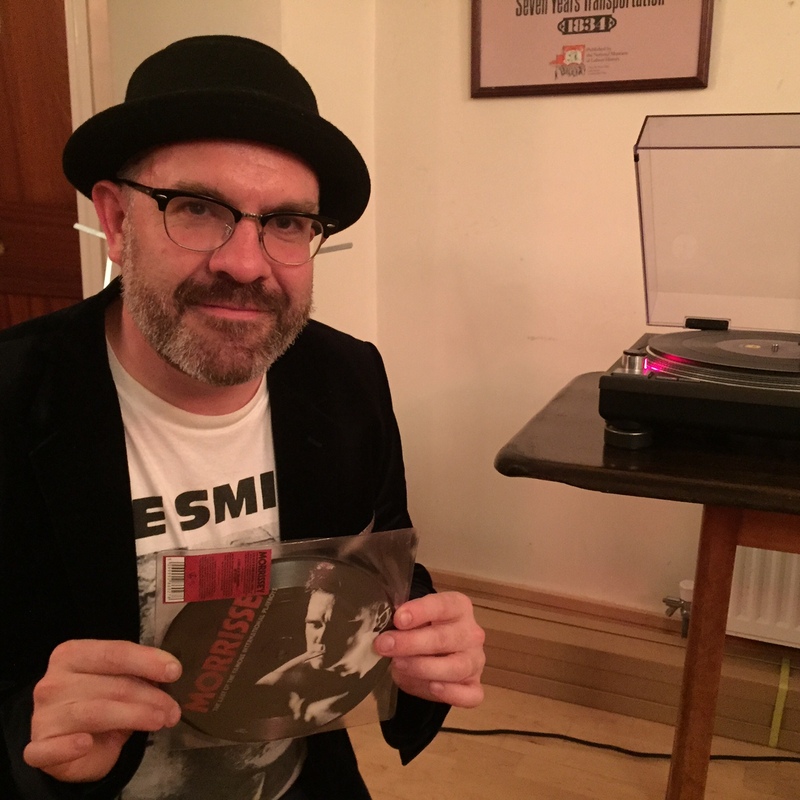 Before we settle in to listen to The Queen Is Dead, Gavin gives us the lowdown on the album: “It’s regarded as The Smiths’ finest moment – although I think there’s a case for all of the albums having classic status,” he says. “It was released in June ’86 – it was The Smiths’ third album. Their musical abilities had developed and progressed – they started doing different things. 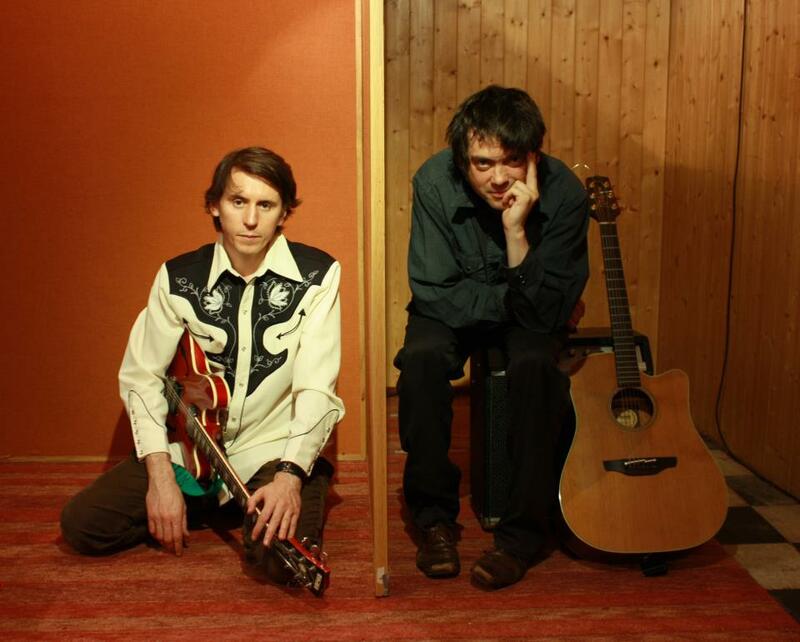 He adds: “The title track is heavy and starts with some feedback – Johnny Marr was listening to a lot of Stooges and MC5 when he recorded it. Frankly, Mr Shankly is a music hall number, Bigmouth Strikes Again is like an early Rolling Stones song and There Is A Light That Never Goes Out is one of the most well known songs by The Smiths. He then puts The Queen Is Dead on the hi-fi and all of us sit in silence, as the opening sample of Take Me Back To Dear Old Blighty – from the title track – gives way to a shriek of feedback, Mike Joyce’s thundering tribal drums and wild wah-wah from Johnny Marr. As we sit and listen, it’s clear that The Queen Is Dead is an album that is designed to be listened to loud and on a great hi-fi system – it sounds fantastic when it’s cranked up. At certain points during the playback, some of my fellow listeners and I exchange knowing nods and smiles, as we hear specific musical references, instrumentation and lyrics that we know and love. There are several times when I feel the hairs on the back of my neck stand up. Indeed, the second album we’re going to listen to is Morrissey’s Your Arsenal from 1992 – but more on that later… Before we sit down to concentrate on Mozzer’s glam rock/rockabilly-inspired classic, there’s a chance to grab another pint and hear some more records that have a connection with tonight’s featured artists. We are also treated to a cover version of Ask by Gigolo Aunts and a rendition of Panic by The Sidebottoms, featuring Manchester cult hero Frank Sidebottom, whose music is a regular feature of Glossop Record Club. He highlights the influence of T Rex’s Ride A White Swan on the track Certain People I Know and the nod to Bowie’s Rock ‘n’ Roll Suicide on I’m Know It’s Gonna Happen Someday. Next up is Your Arsenal – my second favourite Morrissey album (1994’s Vauxhall & I is top of my list), which blazes its way into the Glossop Labour Club with opening track You’re Gonna Need Someone On Your Side – a rockabilly riot of a song with a filthy guitar riff that sounds like it was half-inched from the theme tune to the ‘60s Batman TV series. Like The Queen Is Dead, Your Arsenal is another album that sounds great up loud – Mick Ronson’s superb, dynamic production work and the songs’ great arrangements really come into their own when played on the PA. 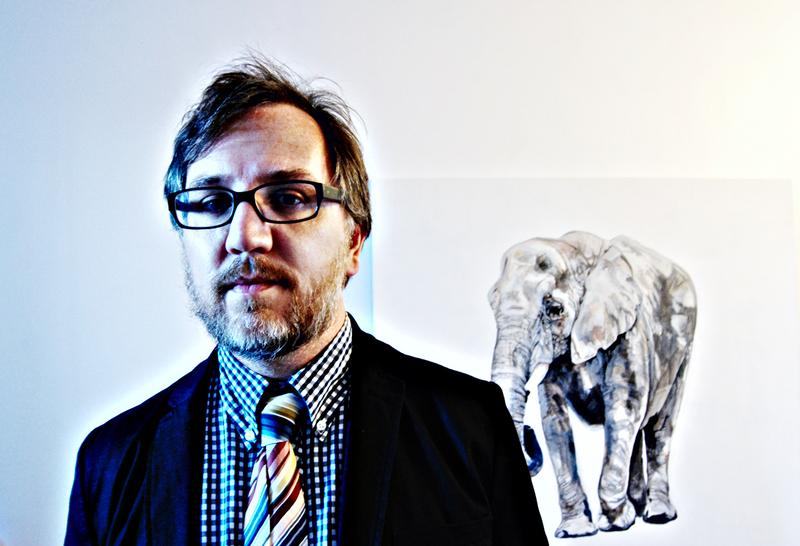 However, it’s clear that some of the Record Club attendees find songs such as The National Front Disco uncomfortable – there’s a definite sense of uneasy listening – and some people’s attention starts to waiver during the second side of the album. This is a shame as it means that we can’t fully enjoy the more subtle tracks, such as the wonderful, haunting acoustic ballad Seasick, Yet Still Docked – surely one of Morrissey’s finest compositions. 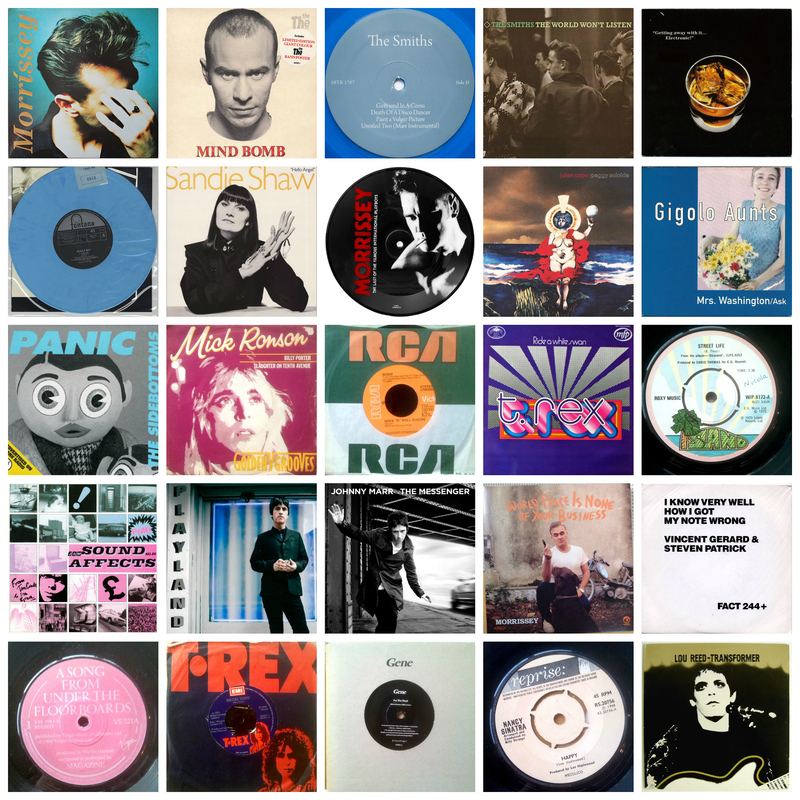 After the final song on Your Arsenal has finished – the punchy arena rock of Tomorrow – there’s another chance to hear some of the records that tonight’s attendees have brought with them, as well as some of Simon’s weird and wonderful selections. Highlights include Bowie’s Rock ‘n’ Roll Suicide, The Jam’s That’s Entertainment, which was covered by Morrissey, and For The Dead – the debut 7in from ‘90s Smiths sound-alikes Gene – one of my own personal favourites. 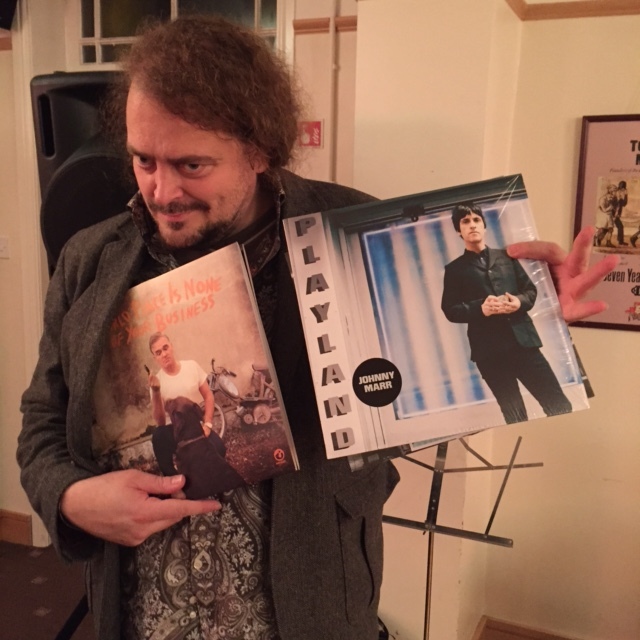 Later on, over a beer, Brett tells me that he has a huge collection of British comedy records. He points out some connections between vintage British comedy and Morrissey. Firstly, the school in the film Carry On Teacher is called Maudlin Street Secondary and Morrissey has a song called Late Night, Maudlin Street. Secondly, Carry On star Joan Sims appeared in the video for Morrissey’s single Ouija Board, Ouija Board. It’s these kind of pub conversations about obscure pop facts that make me want to become a regular Glossop Record Club visitor. What better way to spend an evening than listening to albums – on vinyl – in full, with a bunch of people who are passionate about pop music. 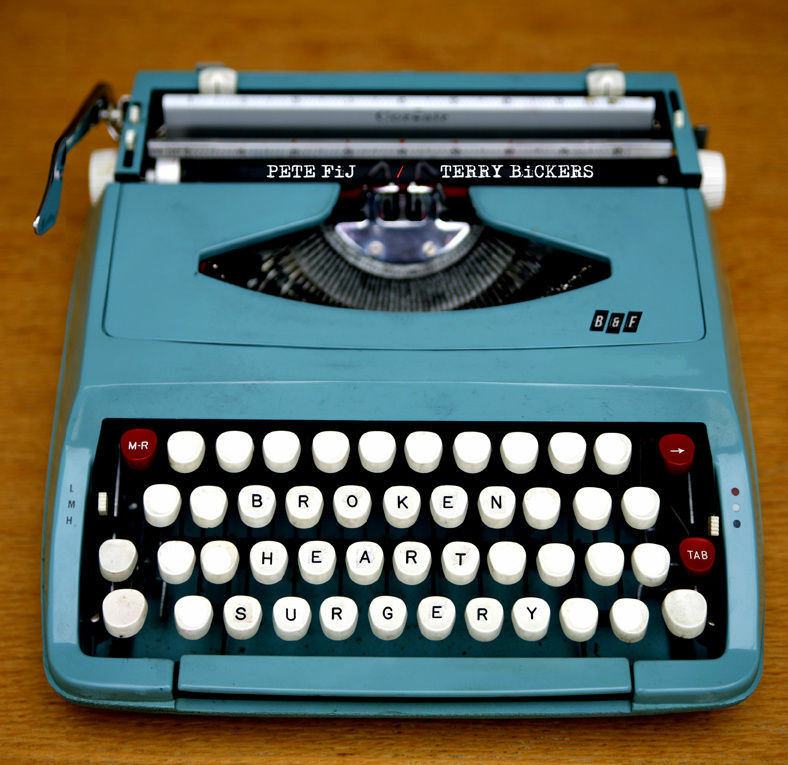 This night has opened my eyes – and my ears.